Nixon Motor Sports: New Year, New Number! 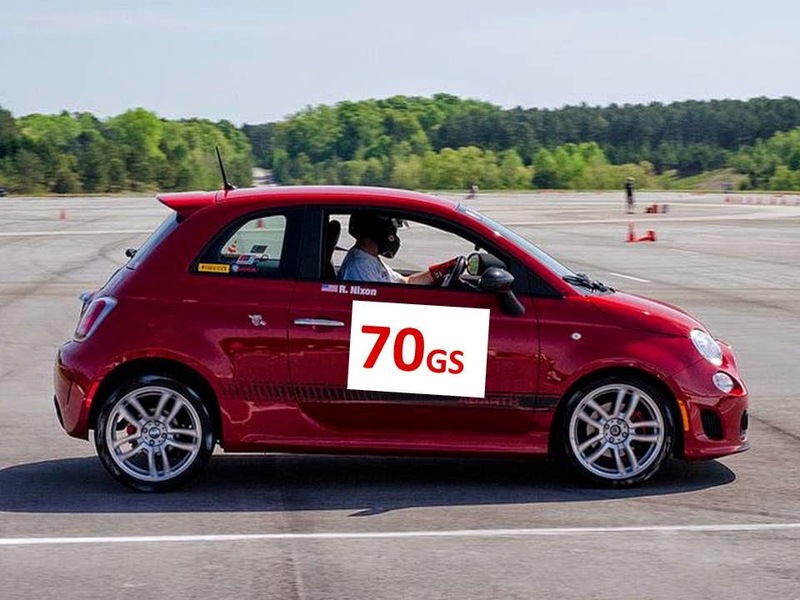 In a press conference at their HQ in Virginia Beach, Nixon Motor Sports North announced today that the mighty FIAT 500 Abarth will be wearing the number 70 this year in autocross competitions. As a change from the 2013-2014 seasons #77, NMS-N driver Robert Nixon stated that "well, the ol' 77 wasn't available since another driver was using it, so I consulted with the spirit of legendary drivers and they told me to go with 70. Besides, I can probably just turn the magnetic sign "7" into a "0" with a little help from a magic marker and not spend any money". NMS confirms they will be retaining the FIAT 1.4 liter turbocharged motor that was built in Detroit, twin intercoolers, CIAO wheels wearing Dunlop tires, and K&N air filters in 2015. With new NGK spark plugs powering the five speed transmission. The graphic design and official paint scheme will be unveiled at a future date, but for now here is an artist's rendering of the anticipated number 70.